Police have appealed to anyone who knew the Westminster attacker Khalid Masood to come forward with information. Officers investigating Wednesday’s attack said they wanted to hear about “associates and places he visited”. The fourth victim has been named as Leslie Rhodes, 75, from Streatham in south London – one of three killed by Masood’s car on Westminster Bridge. Masood then stabbed PC Keith Palmer near Parliament. Police said they have made two more “significant arrests”. Fifty people were injured in the attack, with 31 receiving hospital treatment. Two are in a critical condition; one has life-threatening injuries. Updating reporters outside New Scotland Yard, Assistant Deputy Commissioner Mark Rowley said two police officers remain in hospital with “very significant” injuries. Masood, 52, drove into pedestrians on Westminster Bridge before crashing his car into railings and running into the grounds of Parliament. Armed with a knife, he stabbed PC Palmer, before being shot dead by police. The Metropolitan Police said he had used a number of aliases and was known to police. Mr Rowley said his birth name was Adrian Russell Ajao. Mr Rowley said the investigation would focus on his “motivation, preparation and his associates”. He said police would investigate whether Masood “acted totally alone inspired by terrorist propaganda, or if others have encouraged, supported or directed him”. He also said there would be a review of Parliamentary security to see if changes were needed. 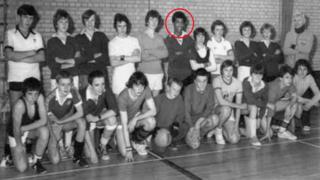 Masood – who was born in Dartford, Kent – was known to police. His previous convictions included possession of offensive weapons and public order offences. In the early 2000s Masood was convicted of causing grievous bodily harm after slashing a man across the face with a knife in a pub. Heather Mott told the Daily Telegraph her late husband, Piers, had been defending someone when he was assaulted. Masood was believed to have been living in the West Midlands, and had previously spent time in Luton, Crawley, West Sussex, and Rye and Eastbourne, both in East Sussex. The night before the attack, Masood stayed at the £59-a-night Preston Park Hotel in Brighton. Manager Sabeur Toumi told the BBC he checked in as Khalid “Masoud” and said he had come from Birmingham and was visiting friends. Mr Toumi said he was “friendly and smiley”, while the hotel receptionist noted on their system he was a “nice guest”. Businessman Michael Petersen, who was also staying there, told Sky News he came across as “polite… there is nothing in his conduct that would make me have any suspicious thoughts towards him”. Deputy Commissioner Mackey joined Home Secretary Amber Rudd, London Mayor Sadiq Khan and hundreds of people at a candlelit vigil in Trafalgar Square on Thursday evening to remember the people who lost their lives. In total, 10 people have been arrested. Nine people are being questioned by police. The latest arrests took place in the West Midlands and the North West. Three women and five men were held in London and Birmingham on Thursday on suspicion of preparation of terrorist acts but Mr Rowley said one person has now been bailed. Police said searches at five address were ongoing and 16 have finished. Detectives have seized 2,700 items, including “massive amounts of computer data”. It has emerged that a house searched in Carmarthenshire belongs to Masood’s mother, although police said nobody at the property was a suspect. Aysha Frade, a teacher in her 40s, and US tourist Kurt Cochran, 54, were killed on Wednesday, while Mr Rhodes, a retired window cleaner, died on Thursday evening when his life support machine was turned off. Army veteran Mike Crofts, who witnessed the attack and rushed to help PC Palmer, told BBC Breakfast it was his military training that made him react. “Unfortunately despite our best efforts we were unable to save him. Meanwhile, a US tourist says she posed for a photograph with PC Palmer 45 minutes before he was attacked. Less than an hour later, Staci Martin was in a taxi when she heard there had been a shooting and saw a helicopter and emergency vehicles. She recognised PC Palmer from the photo released after it was confirmed he had been killed. Dominic Grieve, the chair of Parliament’s intelligence and security committee, said there was no evidence at present to suggest that Masood’s “activities could have been stopped before he came on to the bridge in his car”. He told Radio 4’s Today programme that about 12 plots had been stopped over the past 18 months and the UK had been “extremely fortunate… it really has been a miracle it hasn’t happened sooner”.